News > Facilities > Can you Digs it? Gone are the days when university accommodation was something that students had little or no control over, and turned up on the first day of term to find themselves living in a tiny room with access to a manky kitchen shared with nine others and a friendly mouse. As university is now a much more expensive and thus considered decision by students, the desire for a comfortable and fit-for-purpose accommodation experience is also becoming more important. Statistics from this year’s National Student Housing Survey carried out by Redbrick Research shows that students are happier with their accommodation than in previous years, with 31% of students reporting that they are ‘very satisfied’. So what is helping students to be satisfied? And how does the place where they sleep at night affect their overall university experience? Living on campus can have huge advantages for students, from both an academic and social point of view, giving them a taste of independence and allowing them to make friends more easily. This accommodation being of a high standard ensures that their experience is even more positive. “Being happy and comfortable at home is a great generator of productivity. This is heightened for students who are establishing their independence,” says Robert Moyle, Operations Director (UK) for Campus Living Villages (CLV). “Students have every right to demand a positive experience within a supportive, safe and fun environment. 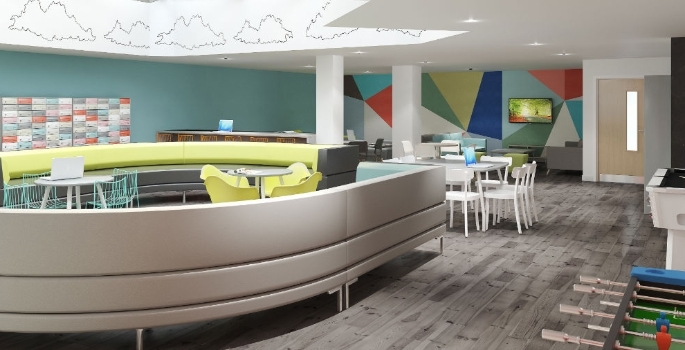 They expect high-quality, well-managed accommodation, with excellent service, great facilities and the latest technology.” Any new student accommodation is therefore being designed in a much more considered manner than the old-style halls of residence. Tailoring accommodation towards specific courses is also becoming more prevalent. 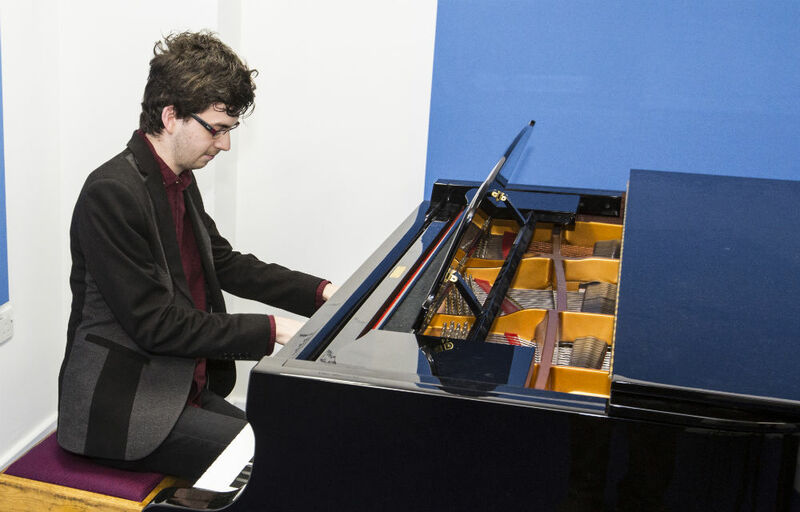 Since one sixth of the students at CLV’s Birmingham accommodation are studying music at Birmingham Conservatoire, it recently invested £450,000 to create two group rehearsal rooms and 10 individual practice studios. These are on the ground floor of the accommodation block and, while a new conservatoire is being built, have created vital rehearsal space for students. Their accommodation is therefore directly enhancing their ability to study their subject. Updates in technology are ensuring that students can have more say in their choice of accommodation, as well as helping university staff facilitate a complicated process in a much more coherent and simple way. One such example of this is Mercury, a new programme developed by web-based software provider RMS, which allows universities to customise their accommodation process and conduct it entirely online. The University of Greenwich switched to Mercury this summer for its accommodation allocation, allowing students to select their own room for the first time. This decision was made after seeing the positive results of similar schemes in universities in the USA, both from a student and staff point of view. After registering for accommodation, the Mercury system allowed students to go online and self-select the accommodation they wished to live in. The system also sent out reminders to students about when the process was open. “During the application process, students wanting to reside with friends were able to create a pin to share with each other, which allows one person to book for all the students sharing the pin. They were also able to select a room according to preferences for building, room type, floor level, gender balance and within a particular age range,” explains Lisa Winter, Accommodation Services Manager for the university. On the first day there was no longer the need for awkward getting-to-know-you chats over the unpacking of pots and pans, as students were able to make contact with each other via social media or email prior to moving in. Research by Links showed that a sense of community and belonging is a key factor for students when determining their choice of accommodation, something that’s backed up by findings from the NSHS survey. This year it showed that a dip in the sense of student community in 2013 and 2014 has been reversed, and the number of students reporting a strong sense of community in their accommodation has increased from 42% in 2014 to 56% in 2015. “Students want accommodation providers to continue improving the community element,” says Tim. “We have seen a huge rise in the proportion of students reporting a strong sense of student community. It is still perhaps lower than we would like but it reveals that when action is taken change can be delivered quickly.” Redbrick posits that this improved sense of student community could be the result of more or better spaces for students to socialise away from bedrooms and corridors, as there was also an increase in satisfaction levels with the availability and quality of communal and social areas plus higher levels of satisfaction in regard to opportunities to socialise. This action is something that can certainly be seen in The Curve, another of Links’ latest projects. This private student residential block in Aldgate East, London, has recently undergone a refurbishment of the communal spaces to create a vibrant hub where students can hang out in comfortable and stylish surroundings. There are designated areas for socialising that have open seating and games, plus quieter areas for independent and group study. In a similar manner, Salford Village Limited’s Peel Park Quarter for students at the University of Salford, which was built by a consortium including CLV, is also much more than just providing a bedroom – there are also cinemas, sports facilities, communal lounges with TVs and games consoles and professional meeting spaces to study together. Enhancing the sense of community, students can access CLV’s Residential Life programme, which offers academic and pastoral support such as financial advice, scholarships, hot chocolate study breaks and cooking classes. “A CLV student can have two weeks of rent-free accommodation in any one of our 60 villages around the globe, to encourage them to travel and sample life on other campuses. Meeting colleagues, visiting new cities and sharing information benefits their personal development and allows them to experience a diverse range of cultures and groups,” explains Robert.